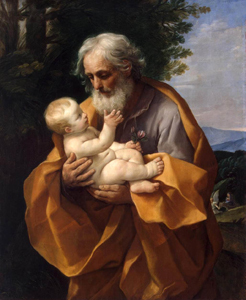 Joseph is a quiet presence in the Scriptures, and not a single word is attributed to him in Matthew’s Gospel. Yet in a few words Matthew tells us everything we need to know about him. First, Matthew tells us Joseph was “an upright man”: a good man, a person who struggled to live justly and do the right thing. Then we are told that Joseph decided to act quietly because of his love for the Virgin Mary. He saw no need to respond with anger or self-righteousness but only with love. Finally, “he did as the angel of the Lord directed him.” He quietly and trustingly did what God asked him to do. Joseph teaches us that sometimes it is good to remain silent, to listen and simply be open to God’s voice—and with great trust to do what we know God is asking us to do.